One of the most delightful wild edibles in our forest is the wood nettle (Laportea canadensis). 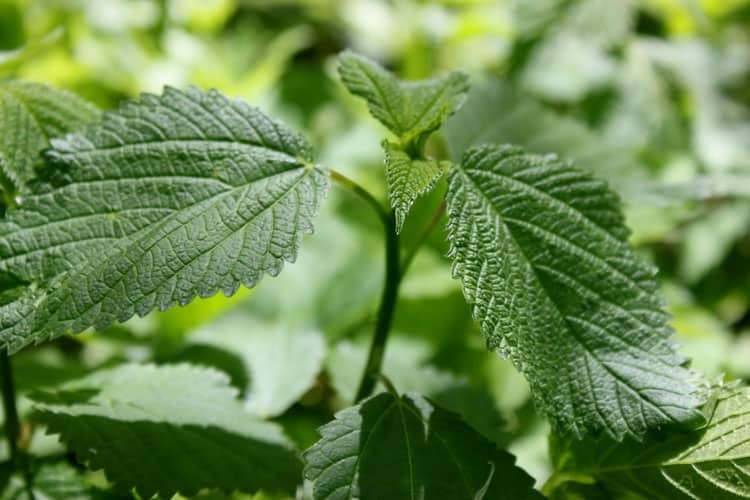 While similar to the more widely known stinging nettle (Urtica dioica), my experience is that wood nettles are far superior as steamed and sauteed greens. With their bright green color, and asparagus-like flavor, they taste like the very essence of Spring. 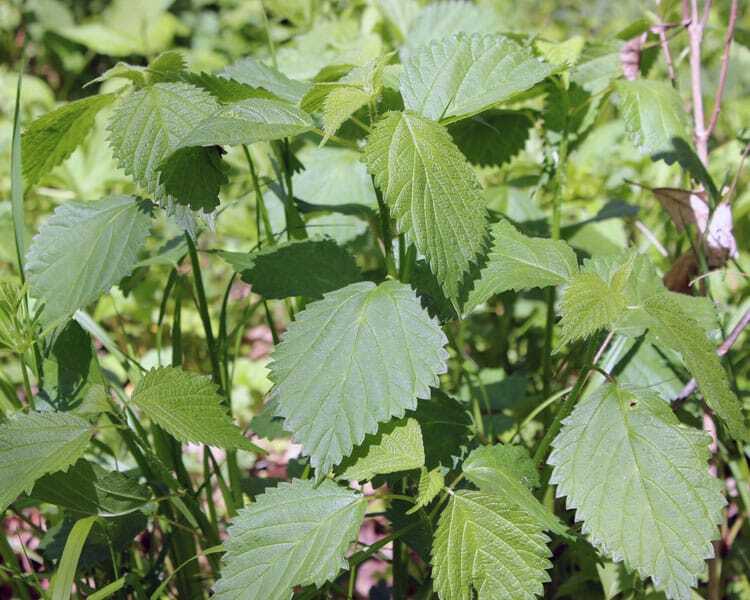 Wood nettles like full or partial shade, and are most often found in bottomlands or in hardwood forests. Our largest stands are at the lowest point of our forest and nestled among oaks and black walnuts on a north-facing slope. Although our neighbor, Mike, first introduced us to the wood nettle a few years ago, it was only last spring that I finally was able to develop a mental search image that allows me to identify them quickly and easily. One of the keys to identification, aside from being in the right habitat, is that wood nettles rise up on a tall slender stalk, and have alternate, somewhat oval leaves. 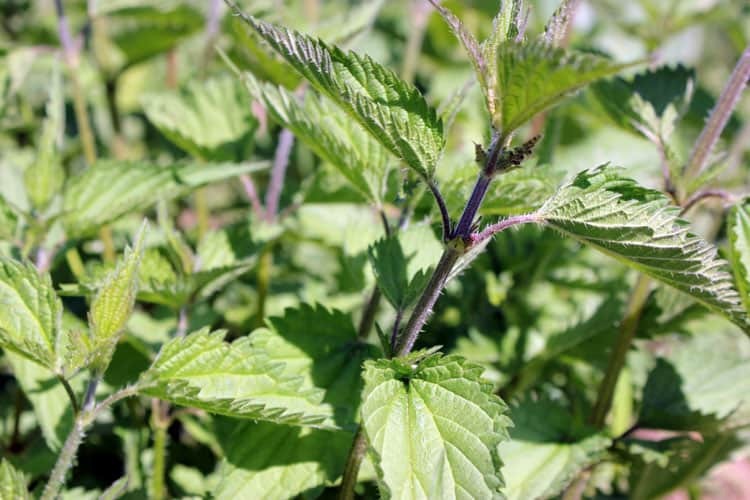 Picking young wood nettles is easy – simply cut or break the nettle stalk with bare hands – but as they mature, their sting intensifies, so gloves are definitely called for! 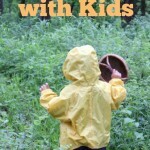 The kids are now able to ID and harvest wood nettles, and both of them love the flavor. It’s become a fun spring ritual to walk the woods together to go foraging for wood nettles and come home with part of dinner! Lightly steam the entire plant and eat it whole, topped with a bit of butter and salt. The young wood nettle stems are tender, and taste similar to asparagus. Saute the tops much like you’d cook kale, perhaps with a bit of garlic and butter. Wood nettles also make a delicious pesto. 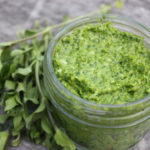 Simply combine the nettles, olive oil, garlic, and some salt in a food processor, and pulse until finely chopped and combined. 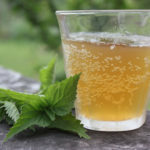 Wood nettles, like stinging nettles, would also make a delicious hot or iced tea. 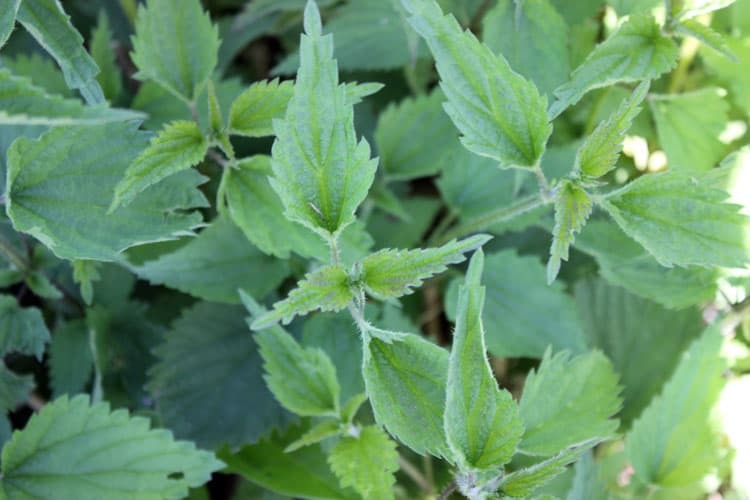 The photos above and below are of the more well-known Stinging Nettle. I started these plants from seed, and planted them in my garden, although you can also forage in the wild for stinging nettle. You’ll notice that stinging nettle has more narrow, deeply serrated leaves that are arranged in an opposite pattern on their stem. Wood nettles are found across much of the Eastern United States, so grab your favorite ID book, head to the woods, and give foraging for wood nettles a try! Have you ever foraged for wood nettle? 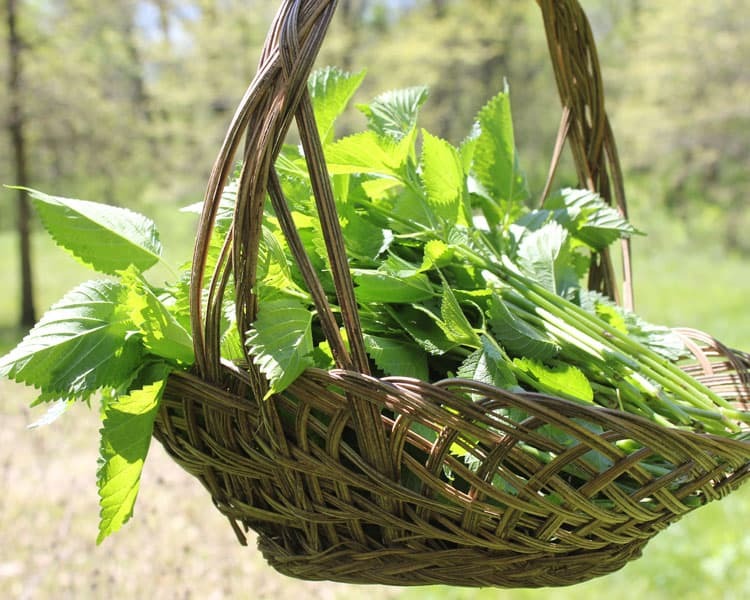 What is your favorite way to enjoy wood nettle, or other foraged greens? I might have to look for some seeds to plant these. I’ve never seen them around here. I love foraging – few things are more rewarding than coming home with a bag of food that was entirely free (discounting the time you spent looking for it, of course). We live in Israel, and the season for fresh spring greens is exceedingly early and short here. Right now, in May, the hills are already more golden than green, as the plants have dried out. 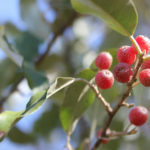 However, we have many regional plants that we glean from: olives, figs, carobs, grapes from abandoned vineyards, etc. In the earliest spring time, we take advantage of dandelion greens. Wow, I can’t even imagine going foraging for olives and figs!! Those are some of my favorites! Do you need to do anything to get rid of the stuff that causes stinging? Like rinse them wearing gloves, or anything? Janet, these young wood nettles are fine to handle by the stalk, without gloves. But if they were a bit older, I would probably wear gloves the whole time, from harvest to meal prep. 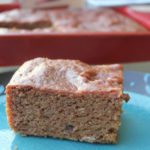 Once they are cooked, the sting gets deactivated, and there is no need to do any special scraping – just cook them! Oh wow, this is good information. Last weekend I thought I was seeing stinging nettles in my woods… but they didn’t look quite right. I considered pulling them all up by their roots (I hate stinging nettles… we had so many when I was a child). Now, I know, I’ll have to take a look to see what nettles I have. And I will definitely consider cooking some to try. Definitely take a good field guide out there with you, as there are lots of plants that grow in similar habitats that look so similar! The wood nettles are very unique, and once you get good at spotting them, you’ll see them easily!